Who Dares Compile Such a List? There have been a multitude of rock bands, of course, many of them spectacular. Who can pick the best? What the heck, I'll try. I've been around for awhile, since all the oldest bands on the list have been in existence - say, 1962. The list only includes bands whose forte is good ol' rock ‘n' roll. No players of blues, rhythm and blues, funk, soul, folk, hip-hop - much less jazz or other dissimilar genres - are included on this list. Moreover, all of these bands has (or had) a distinctive sound that few can imitate, dare they try. All of the bands were together for years - or decades or still perform - and made an indelible mark on the world of rock ‘n' roll. 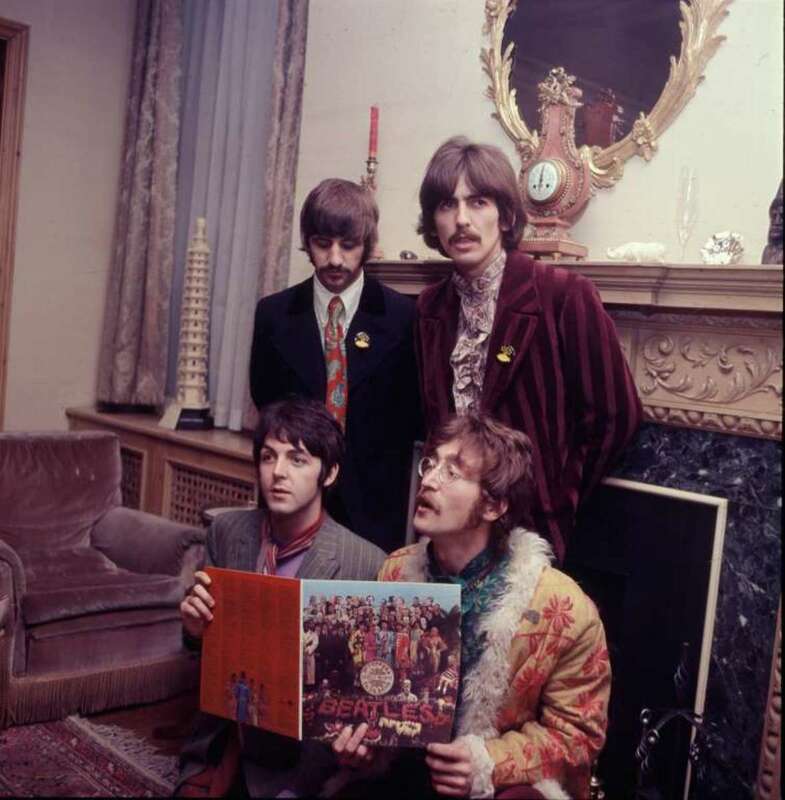 What more can anybody say about The Beatles? 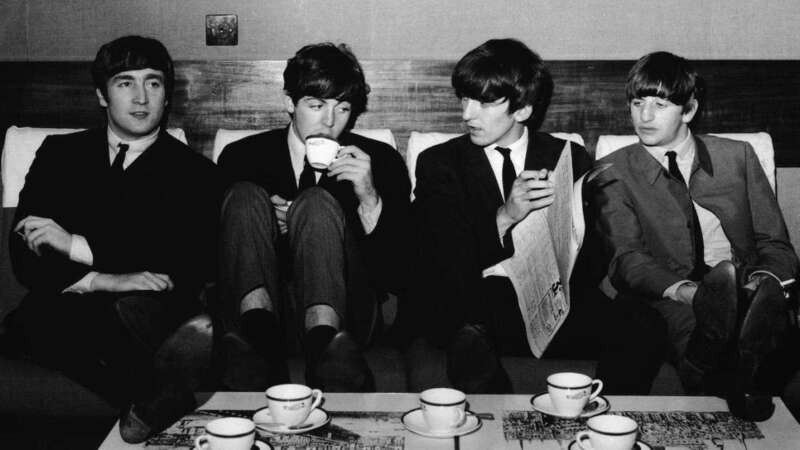 John, Paul, George and Ringo became household names back in 1964 – in the UK and USA, at least. 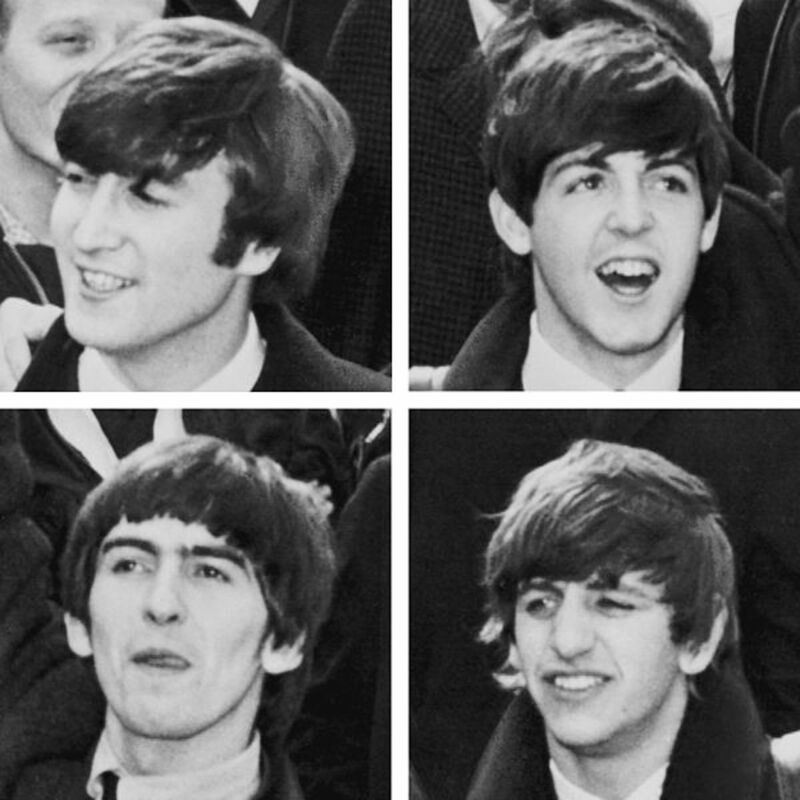 Soon they became known as the Fabulous Four or Fab Four. By the late 1960s many people thought they were sent here to save the world. Fancy that notion, eh? Perhaps their best album, Revolver, was VH1’s pick for best album of all time. Back in1967, during the psychedelic era, many of us marveled at their enigmatic, post-acid lyrics. Some examples were: “The walrus was Paul . . . Lucy in the sky with diamonds . . . When ignorance and haste may mourn the dead.” Yeah, right, gimme a hit! Then that Japanese artist chick Yoko Ono broke them up. Or did she? Perhaps a more likely possibility is that aspirations for solo careers sent them in other directions. At any rate, we’ll probably never see their like again. But people must try to bring them back in some fashion. Currently, the Cirque du Soleil production of Love in Las Vegas is a musical production based on the Beatles’ music. Hey, Strawberry Fields Forever! And the Zep didn’t let me down for 12 years, though there was a drop-off in quality material during and after the double album Physical Graffiti (but who can forget the tantric “Kashmir”?) 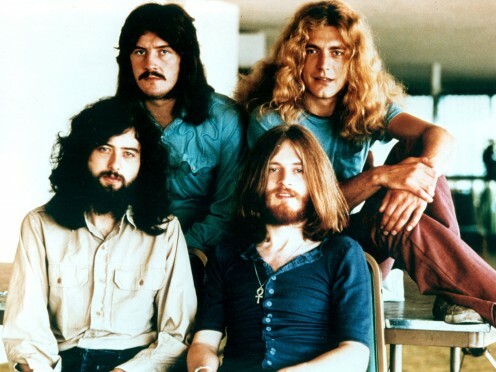 Then in 1980 drummer John Bonham died and the band broke up. Incidentally, in 2000, VH1 voted Led Zeppelin the number one greatest hard rock band. The Zep had a reunion concert at the end of 2007, and plans for a reunion “tour” have been in the works, but it will probably never happen. 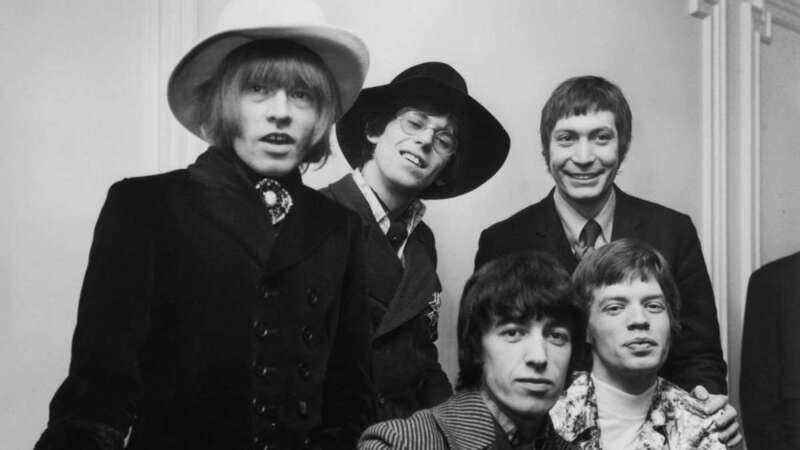 In 1962 Brian Jones brought together the members of a rhythm and blues band that would become The Rolling Stones. Their list of classic albums is long: Out of Our Heads, Aftermath, Their Satanic Majesties Request, Let It Bleed, Sticky Fingers and Exile on Mainstreet. Unfortunately, the band transmogrified after the death of guitarist/musicologist Brian Jones in July 1969. Some rock purists think the Rolling Stones were never as good afterwards. The Stones’ sponsored Altamont bummer concert in December 1969, where a Hell’s Angel stabbed a black man to death, may not have helped their group psyche as well. Be that as it may, about this time, the band began trumpeting themselves as the greatest rock ‘n’ roll band in the world. Evidence of this could be their live album Flashpoint, released in 1991. Rock never sounded so good. At any rate, their longevity certainly speaks for itself, as the band performed at the 12/12/12 Concert, highlighting a tour to celebrate 50 years of rocking out. Then, in the fall of 1970, Hendrix was planning to record an album with jazz great Miles Davis. Wouldn’t that have been incredible! 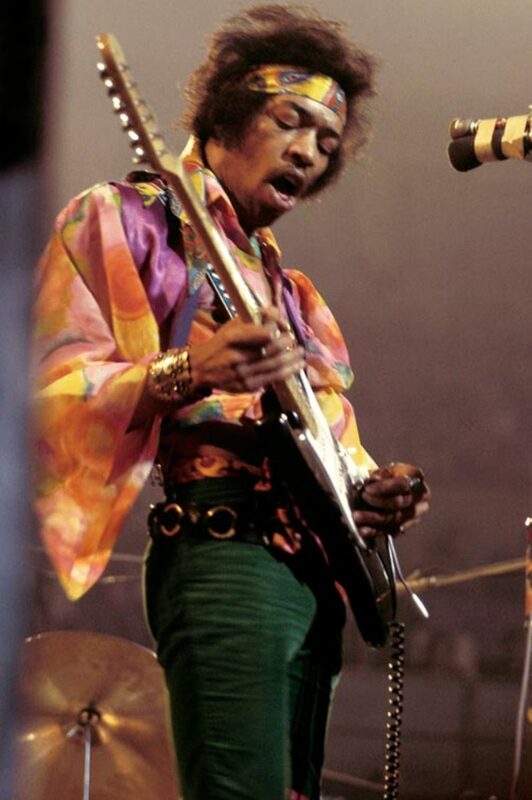 Unfortunately, the band’s stardom was cut short by the death of Jimi Hendrix in September 1970. Well, to use an astronomical metaphor - appropriate somehow - blue giant stars, because they’re so enormous, burn out in a relatively quick and spectacular fashion, ending in a cataclysmic explosion known as a supernova. Yes, they go – BOOM! Alas, poor Jimi ended likewise. Few rock bands have been as influential as Pink Floyd, which formed in 1965. Pink Floyd has sold over 200 million records and still performs from time to time. 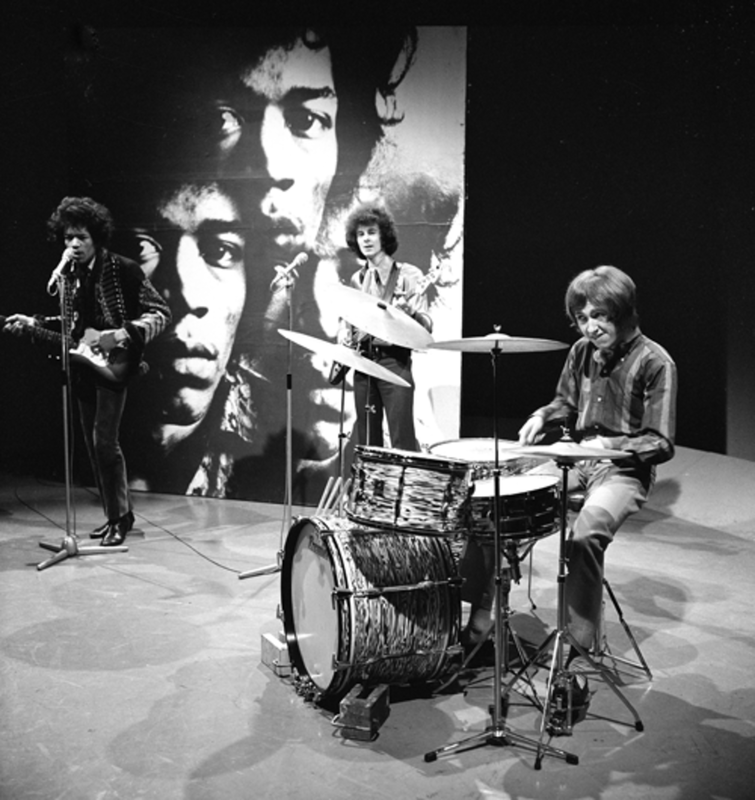 Their first album, The Piper at the Gates of Dawn, was released during the Summer of Love in 1967. Perhaps the album’s greatest hit was “Interstellar Overdrive,” a decidedly psychedelic title and tune, during a very trippy time, if you remember. In 1965, lead guitarist Syd Barrett, suffering from mental problems, was replaced by his friend David Gilmour. The band has produced numerous hit albums over the years, particularly classics such as The Dark Side of the Moon and The Wall. After breaking up in 1996, Pink Floyd reunited for the Live 8 concert in 2005. Sadly, Syd Barrett died in July 2006, but Pink Floyd’s space music will never perish. U2 seems to be one of the most popular musical acts in the world – and a band with a social conscience. One of their first songs, 1983’s “Sunday Bloody Sunday,” commemorated the slaughter of civilians during upheavals in IRA-embattled Ireland. The band was also prominent at the Live-Aid (for Africa) concerts in 1985. Bono, the lead singer of the group, remains a social activist on the world scene, visiting trouble spots with the regularity of a United Nations ambassador. Of course, U2 has written ballads too, perhaps most prominently “I Still Haven’t Found What I’m Looking For,” featured on their album Joshua Tree, rated number 15 on VH1’s list of the 100 Greatest Rock Albums of All Time, compiled in 2001. 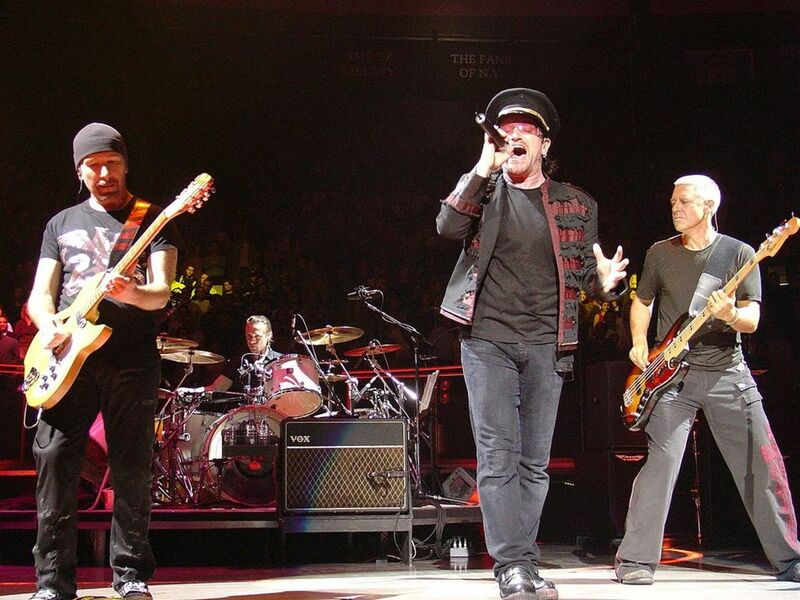 If any rock group lasts as long - or even longer - than the Rolling Stones, it may be U2. By the way, U2 puts on a spectacular live show, particularly when performing in arenas or stadiums. In that regard, The Edge, aka, David Howell Evans, U2’s lead guitarist, seemingly uses a different guitar for every song U2 plays. Small wonder, since it appears every guitar has a unique tone the artist must utilize to its fullest. 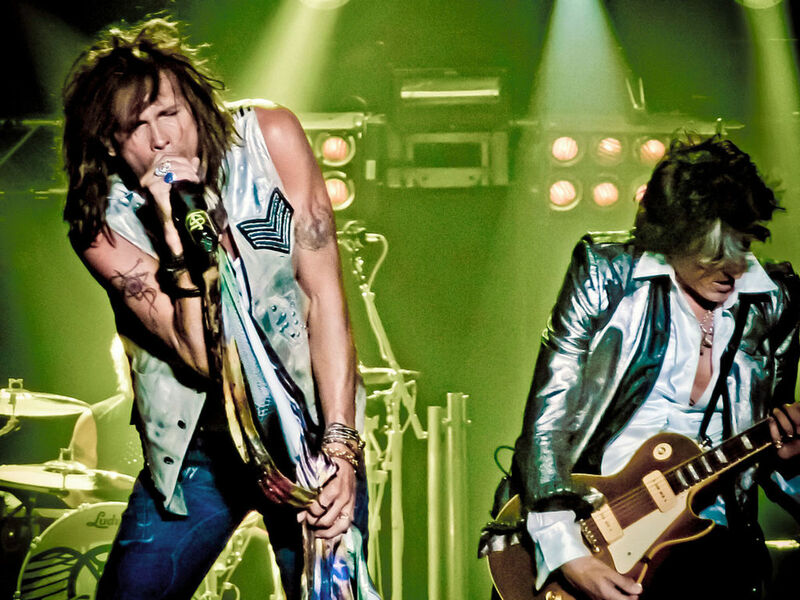 No American rock band has won more awards and honors – and sold more albums - than Aerosmith. Formed in the early 1970s, this Boston-based band developed a hard rock cutting edge that rivaled that of other hard rock bands such as Led Zeppelin, Black Sabbath and AC/DC, though some critics considered them nothing more than a poor man’s Rolling Stones. Perhaps the band’s greatest hit is “Walk This Way,” covered by numerous groups, including the hip-hop band Run D.M.C. But it has been a bumpy ride for these guys. By the middle 1980s virtually every band member ended up in drug rehab, and the band didn’t rebound until every member swore off the contraband by the end of the decade. Since then, they've rocked. 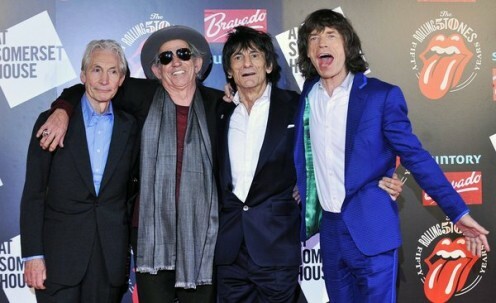 So, regarding rock longevity, only the Rolling Stones top these aging, though potent, rockers. A multitude of rock fans fell in love with the first album by the Seattle grunge band Pearl Jam. Ten, released in 1991, is certainly one of the greatest rock albums of all time. VH1 listed it as number 79 on the list of 100 Greatest Rock Albums of All Time. (Way too low, don’t you think?) Anyway, members of Pearl Jam thought enough of their fans to sue Ticketmaster because they thought it was charging too much for tickets to their concerts (they wanted to keep the price below $20 per ticket). Unfortunately, the band lost the lawsuit. 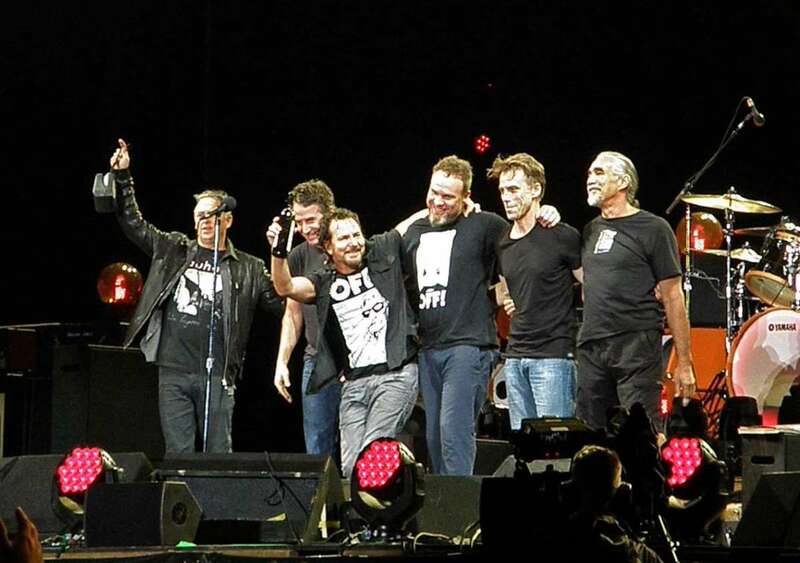 After many changes in personnel over the years - though lead singer Eddie Vedder remains the group’s main man - the band continues touring and cutting albums. Moreover, many of their performances have been recorded and released on CDs (bootlegs of such are available too). In 2017, Pearl Jam was inducted into the Rock and Roll Hall of Fame. Queen is certainly one of the most innovative, progressive and experimental rock bands of all time, producing such timeless hits as “Bohemian Rhapsody,” “Somebody to Love,” “We Are the Champions” and “We Will Rock You.” Having sold as many as 300 million albums worldwide, Queen has been one of the most commercially successful rock bands as well. 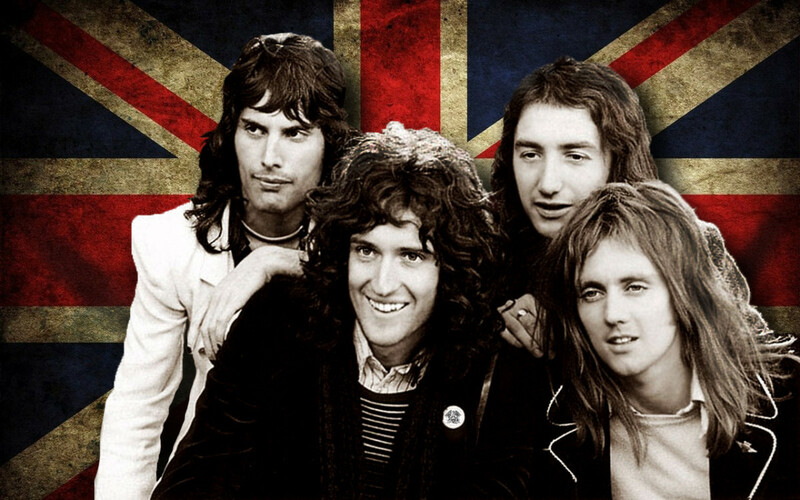 Forming in 1971 and producing their first album in 1973, Queen’s best days featured Freddie Mercury on lead vocals, Brian May on lead guitar and Roger Taylor on drums. Generally, critics have loved Queen’s music too, as their singles and albums have landed on numerous “best of” lists such as A Night at the Opera, voted number 16 on Q magazine’s list of the 50 Best British Albums Ever, compiled in 2004. Since the death of Freddie Mercury in 1991, Queen has continued recording and touring, now a legendary assemblage of exemplary rockers with a list of accolades and awards too long to put in this meager space. Why is AC/DC not on this list of greatest rock bands, but Santana is? 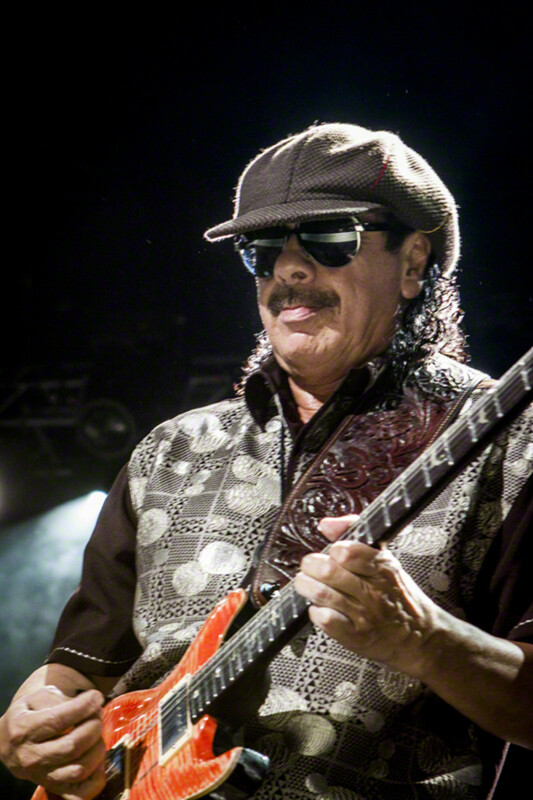 In my judgment, AC/DC is not a top ten band, because Carlos Santana is a better lead player than the one in AC/DC. 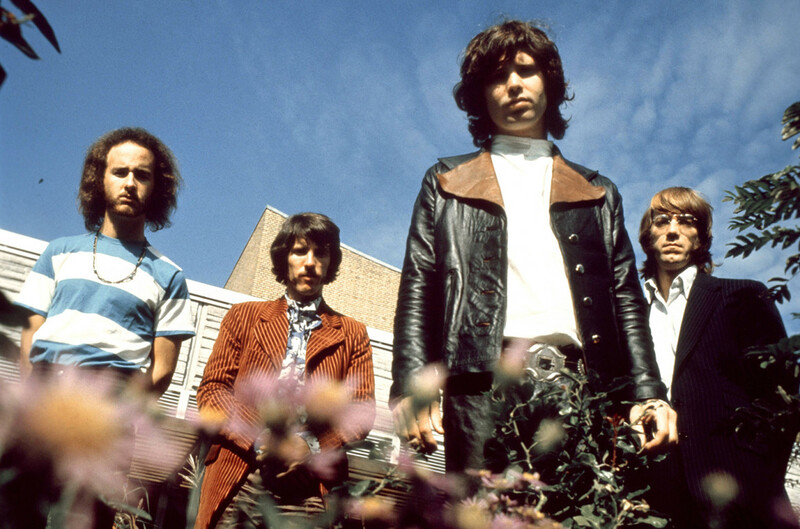 What about the Doors as one of the greatest rock bands of all time? Maybe the Doors would crack the top 20. If it's truly the greatest rock bands of all-time, then why would nationality matter? Put The Who on this list. They deserve it more than at least half of these bands. Penalizing them because they're from the UK is absurd. Why is Queen so far down on the list? Queen is great but not as great as the Beatles, Led Zeppelin or Jimi Hendrix. Why isn't Guns N Roses included in your "Ten Greatest Rock Bands of All Time" list? Because they'd be in the top 20 or 30 for me. Where do Journey, Toto, Chicago and Boston rank on this list of the greatest rock bands? Chicago and Journey would probably be in the top 20, while Boston would be further down. Would you consider The Who, Black Sabbath or Cream in your list of ten greatest rock bands of all time? If I put The Who on the list, Queen will have to go, while the others aren't good enough for the list. Shouldn't The Who be included in this list of the greatest rock bands? Only 10 bands can make this list. Where is Nirvana on the list of ten greatest rock bands of all time? Pearl Jam is better than Nirvana, which is long gone. Moreover, Pearl Jam deserves credit for much greater longevity. Do you have any knowledge of music history? Yes, I've studied the history of rock and roll, the blues, R&B and jazz, and I've read numerous biographies of such musicians and bands. In fact, I just read Pete Townshend's autobiography. Wouldn't Eddie Vedder be embarrassed to see his band on this list before The Who? Of The Who he said, "They smashed through every door in the uncharted hallway of rock 'n' roll without leaving much more than some debris for the rest of us to lay claim to." Eddie Vedder does like The Who, and he would be proud to know that Pearl Jam is rated higher on my top 10 list. Greatness begets greatness. Should Fleetwood Mac be on this list of Greatest Rock Bands of All Time? Fleetwood Mac would fit better on a top 20 or 30 list. Why is no song by the Grateful Dead on this list? The Grateful Dead had many good songs but none good enough for this list. Where would Kiss be on your list of greatest rock bands of all time? Kiss would be somewhere in the top 50. Queen is too camp to crack the top 10. How about you replace their spot with The Clash? Queen stays where they are, but The Clash could be top 20 material. Where would you put the underrated group in the history of rock & roll - the Animals on a list of the greatest rock bands of all time? I'd put them in the top 20 or 30. Do you still listen to rock music? I don't listen to it as much as I did in the past but I still listen to it on a regular basis, especially classic rock. Don’t you think Metallica is a better band than Pearl Jam? Metallica is definitely one of the best metal bands, while Pearl Jam is the best grunge band. So I picked Pearl Jam. 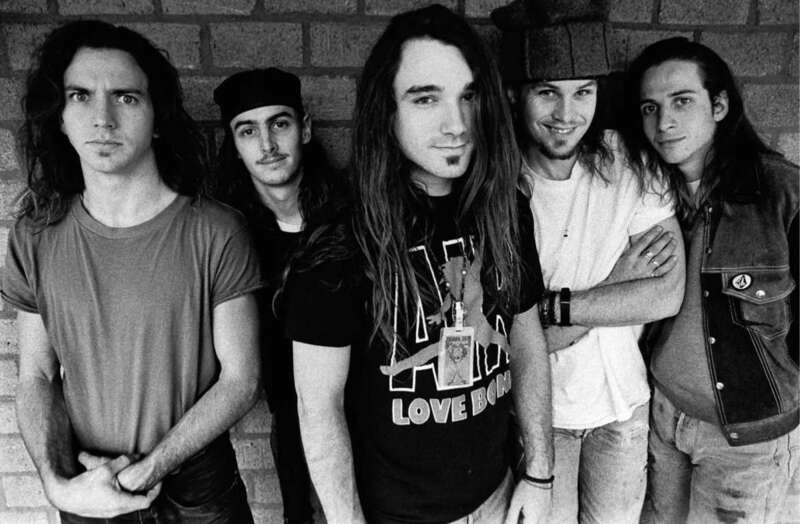 Why Pearl Jam on the list of ten greatest rock bands of all time? They're the greatest grunge band, one of which deserves to be on this list. Why didn't you include Lynyrd Skynyrd and the Allman Brothers in your list of Ten Greatest Rock bands of All Time? Those bands would be on my Top Twenty list, along with The Who, the Eagles, Crosby, Stills, Nash and Young and Metallica. Is your "Ten Greatest Rock Bands of All Time" list biased or is it based on facts, such as votes, albums sold, listeners, and supporters? It's based on my perception of what the greatest rock bands are, which includes popularity, level of talent, longevity, influence and historical impact, with at least some of my bias thrown in. "Physical Graffiti" was a drop-off in quality material, so why is Led Zeppelin so high on your list? It was still a good album, especially "Kashmir," which is a classic tune. Dylan? The who. The dead. The Band. Aerosmith has been awful since getting sober. U2? Not top 10. Same with Queen. Pearl Jam? No. Same with Santana. You have to put the Beach Boys on. LINKIN PARK NOBODY DIDN'T EVEN SUGGEST IT IN ANY OF THEIR LIST.........THAT'S HORRIBLE JUST HORRIBLE!!!!!!!!!!!! Where's Donny Osmond and the Bee Gees? This is mearly your opinion, and by your own admission you're not an avid Rock aficionado. It shows, reflected by your list. Piss poor. Santana? Pearl Jam...I'm surprised you didn't put Chicago n Eddy Money I the top five. This list was awful. Pearl jam? U2? Santana? Aerosmith? Where's Guns N' Roses? Black Sabbath? Smh. Laughable. 1. David Gilmour replaced Syd after 1965. 2. 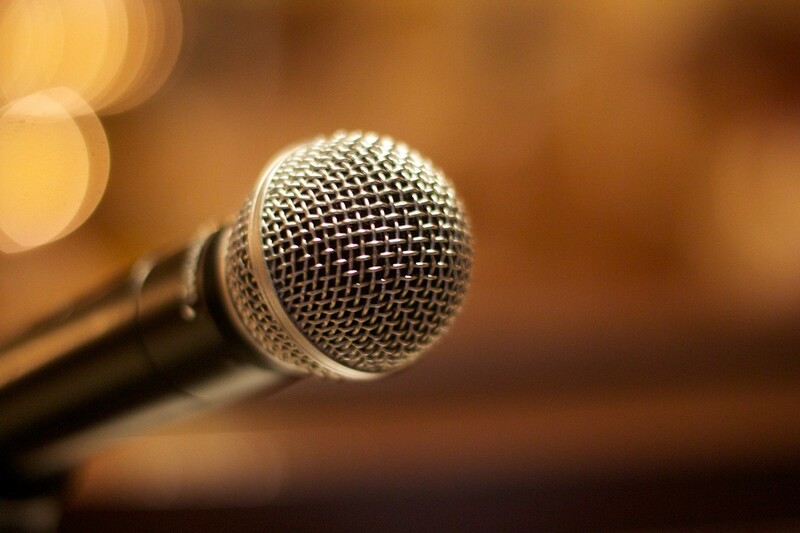 Where would you place bands such as The Beach Boys, Deep Purple, Dire Straits and Judas Priest? Is this a piss take? Queen should be 1. AC/DC, The Eagles, ELO, CCR just to name a few. Where's Red Hot Chili Peppers! You were doing so well and then the 2nd half of your list went sideways. Santana top 10? Pearl Jam over Nirvana? You really count the Jimi Hendrix Experience a band? Same as Santana? Aerosmith riped off the Stones, knock off 10 spots. Where are the Ramones? And yeah, the Beach Boys. how is queen last may I just ask..... WHY IS QUEEN LAST?! You ARE really sticking your neck out. My opinion, for what its worth.....where the hell is CREAM? Guns and Roses are you serious ? This is entirely subjective. I would put Queen above every single one of thise bands. The Stones should be #!. Their best years were with Mick Taylor. Where is David Bowie, Bruce Springsteen & the E-Street Band, The Doors, Tom Petty & The Heartbreakers & the Eagle? I agree...Queen IS number one on MY list!! Queen should be number 1. No question. 2nd greatest guitar player ever, Duane Allman, and no one put “The Allman Brothers in their top 10! Okay, y'all putting GnR in the top ten need to seriously reevaluate. You can't just put bands in the top ten because you like them a lot. GnR #3? #5? There are so many greater bands. Top 25 maybe. I'm shocked no one added Rush, that's disgraceful! I do think Hendrix is the greatest guitarist ever but I don't think Experience really counts as a band on here. I think that there is enough of a consensus that the artificial inclusion of groups, based on artificial criteria like "too many British bands" is ridiculous. No list should exclude the Who. 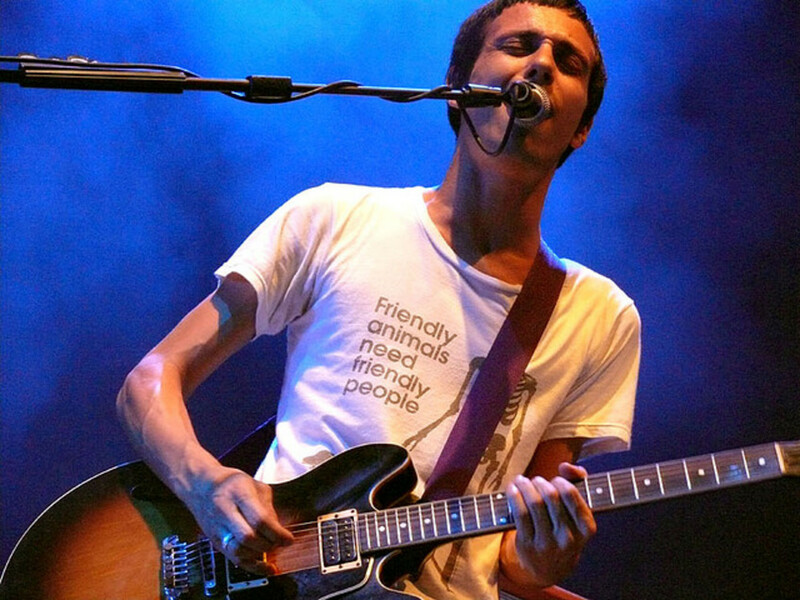 If modernity is required, only Radiohead supersedes the rock genre. I get criticisms of including U2, but they do belong. The Jefferson Airplane, The Dead, The Byrds and CSN&Y were all greater bands of the Woodstock era than Santana. You have Santana but no mention of Peter Green who wrote wrote and performed Black Magic Woman. Follow him with Eric Clapton, John Mayall and Fleetwood Mac you may realize something I did. Fleetwood cover some of the best blues ever, then went on from there. With the test of time, I don't think Pearl Jam belongs there. They're good, but just haven't covered enough ground, at least IMO. Maybe in another 30 years. I also find it hard to believe the Who's not hear. 1. Led Zeppelin 2. Rolling Stones 3. The Beatles 4. Black Sabbath 5. Metallica 6. Judas Priest 7. 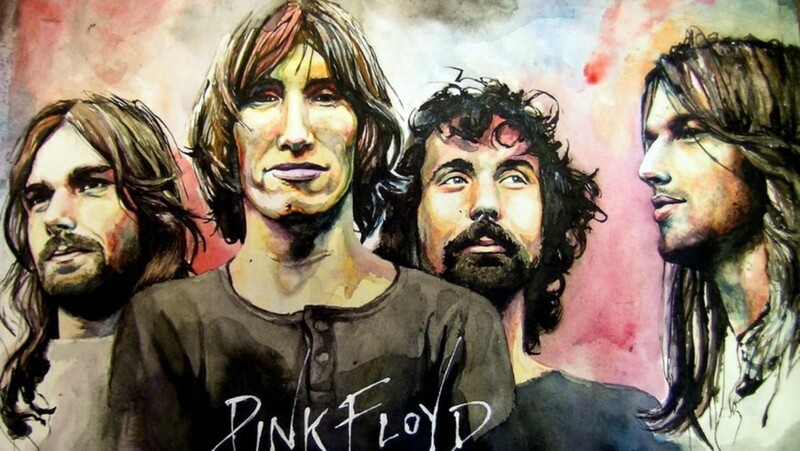 Pink Floyd 8. Soundgarden 9. Alice in Chains 10. Motorhead. Honorable mention to two very rock and roll individuals, Janis Joplin & Jimi Hendrix. Pearl Jam has a huge following of boring mediocre people and had a few good songs (kind of like Foo Fighters) but they are not innovative at all. They belong nowhere near this list. U2 and Santana are really not very rock and roll at all. Others have mentioned Guns N Roses, AC/DC, The Who, Motorhead, Rage Against the Machine, Radiohead, etc. All very solid choices that are better than those made by OP, who apparently just likes the watered-down version of rock and roll. Hey, AnthonyBasileo, there's only so much room for UK bands on this list. Somebody, The Who or others, have to miss out. Sorry! The Who, The Police, The Doors.....The Who in my view should be #2 on the list. Where are Guns and Roses, arguably the greatest band of all time or at the very least the last great rock band. You hit the snooze button on this list. How are The Who not at least #4 on that list? U2, Pearl Jam and Santana don't really belong on this list. No consideration for hard rock like AC/DC or Maiden either. U2??? LOLOLOL... what about the Doors and 90s Brtish rock like Oasis. So many great bands to pick from, it's impossible to make a true top 10 list or 15,20,,,,,,,,Long Live Rock! I think The Who and Queen also, but otherwise, I might bump Pearl Jam for Nirvana for the grunge age. Good list! 1. The Clash by far. Much better than anyone else. 2-4. Pink Floyd, Beatles, Stones. Not as Clash, but much better than anyone else. Order - not important, they are roughly the same. 5- there are many good bands, and ranking them is difficult and pointless. Why isn't Roxette on this list? If ac/dc is not on your top 10, there's something wrong with you. Haha...... Bon Jovi ? Iron Maiden ? People please stop my gut hurts. Okay. Pearl Jam? Pearl Jam and absolutely NO inclusion of Nirvana? Also, Freddie Mercury is above Queen. I am not much of a beatles fan. I am Stones man. Nevertheless i agree they should be number one. This list should only include Juggernauts of the industry who had a huge influence on music and are known not just to fans. Pearl Jam wouldnt crack the top fifty by this standard. You should probably do a bit more research. Claiming the stones werent as good after Brian died. 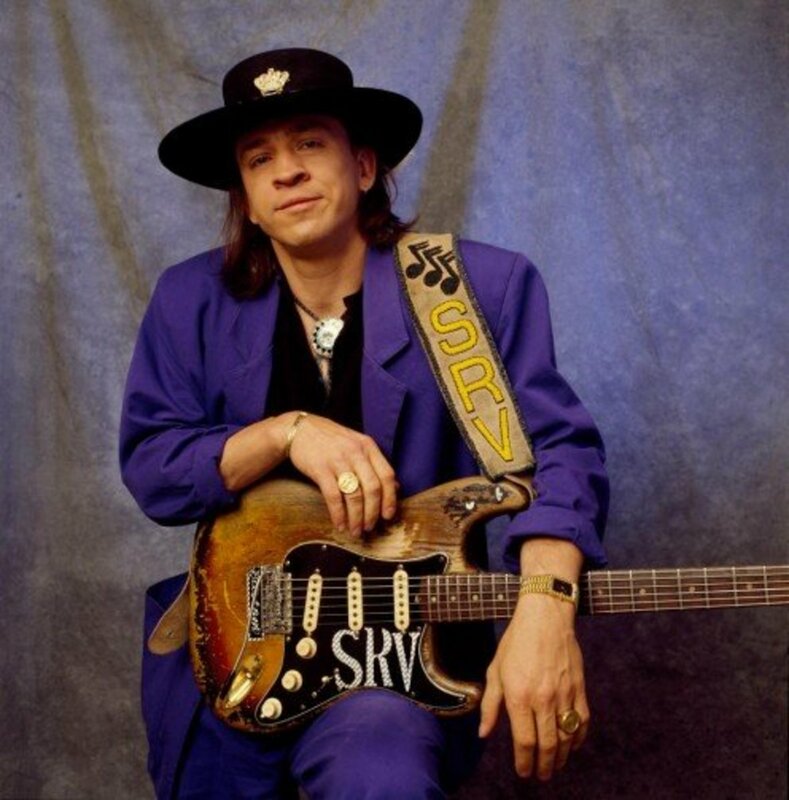 Sticky Fingers and Exile on main street, albums you cite, were recorded after his death. Then you mention Satanic Majasties as a classic album. It is unanimously regarded by the stones themselves and their fans as a turd of an album. You clearly know nothing at all about the stones. U2? Pearl Jam? Santana? Pink Floyd? Whoever made this list is an idiot lol. #1-2 is Zep & Beatles. The rest you could mix around but those are the ten best ever.......period. Pearl Jam hahaha GTFO. Nirvana, Sound Garden & Alice in Chains were bigger and better then PJ. The Byrds, Jefferson Airplain, then at least Cream if not Derek And The Dominos, The Smiths, Simple Minds, Dire Straits, King Crimson, Roxy Music, Nirvana... to just mention but a few... Ah, and perhaps The Doors. Yes, you... Who on Black Sabbath Rushed through the Deep Purple Doors! Now this is a crime!!! Yes, you in Deep Purple, Who Rushed on Black Sabbath! U2, Aerosmith & Pearl Jam before Black Sabbath, Deep Purple, The Who, Rush, Yes, etc. c'mon... with all respect to the 1st three, but you gotta be kidding me?? ?